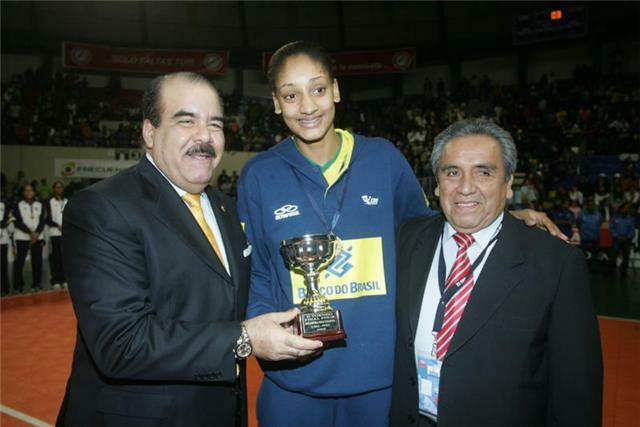 LIMA, Peru, September 13, 2009 � Brazilian attacker Joyce Silva was selected as the Most Valuable Player of the II Final Four Women�s Volleyball Cup while Dominican libero Brenda Castillo of Dominican Republic took home three plaques as the best defensive player of the competition. 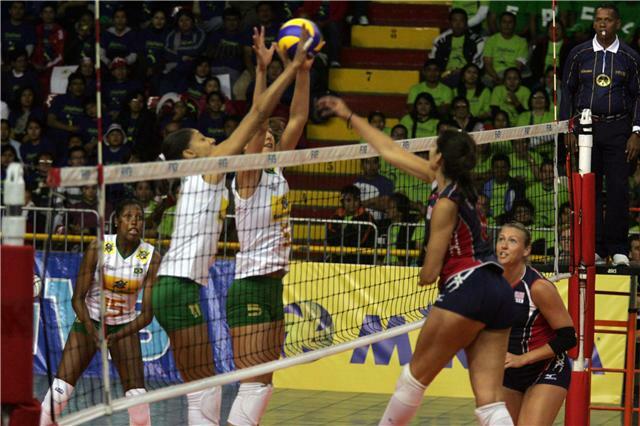 LIMA, Peru, September 13, 2009 � Brazil successfully defended the crown by defeating USA 25-17, 25-16, 25-27, 25-19 in the final match of the II Final Four Women�s Volleyball Cup played at Eduardo Dibos Coliseum on Sunday. LIMA, Peru. 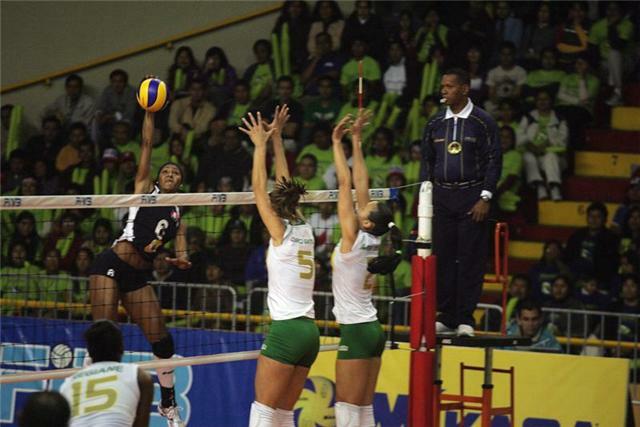 September 13, 2009 � Dominican Republic scored a 25-17, 25-21, 27-25 victory over Peru claiming the bronze medal at the II Final Four Women�s Volleyball Cup. LIMA, Peru, September 12, 2009 � Defending champions Brazil defeated Peru in straight sets 25-21, 25-13, 25-15 advancing to a gold medal match against USA in the II Final Four Women�s Volleyball Cup. 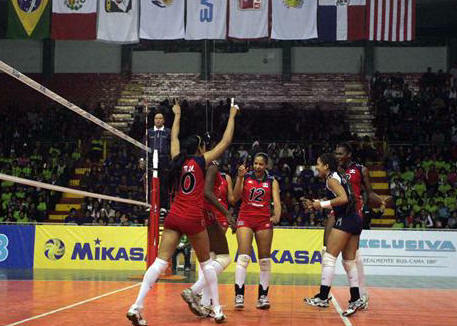 LIMA, Peru, September 12, 2009 � USA held off a Dominican Republic reaction in the fourth set and advanced to the gold medal match at the II Final Four Women�s Cup with a 25-20, 23-25, 25-23, 26-24 victory on Saturday at Eduardo Dibos Coliseum. 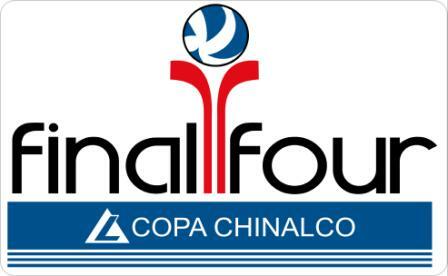 LIMA, Peru, September 11, 2009 � Brazil defeated Peru in straight sets 25-18, 26-24, 25-11 to finish the preliminary round robin with a 3-0 record in the II Final Four Women�s Volleyball Cup. Both teams will meet on Saturday�s semi finals. Regiane Bidias led the defending champions with 19 points. Joyce Silva added 12 and Welissa �Sass� Gonzaga and Caroline Gattaz each contributed 10 points. The best scorer of Peru was Leyla Chihuan with 13 points. �We expected a strong game from Peru, because they are at home,� said Paulo Barros, the Brazilian coach. �We didn�t play our best volleyball, but now we have to focus on playing Peru again on Saturday.� More Spanish..
LIMA, Peru, September 11, 2009 � Dominican Republic defeated USA in straight sets 25-20, 25-19, 25-23 in Friday�s first match of II Final Four Women�s Volleyball Cup.Both teams will meet again on Saturday in the semi finals. 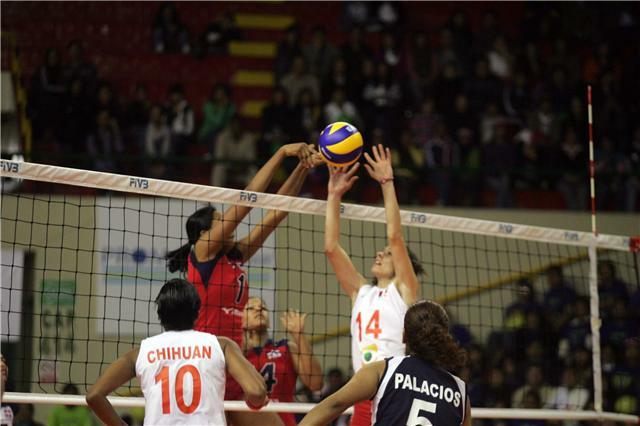 LIMA, Peru, September 10, 2009 � USA defeated hosts Peru 3-1 (25-10, 20-25, 25-14, 25-20) improving its record to 2-0 in the II Women�s Final Four Cup. The Americans share the top place with defending champions Brazil. 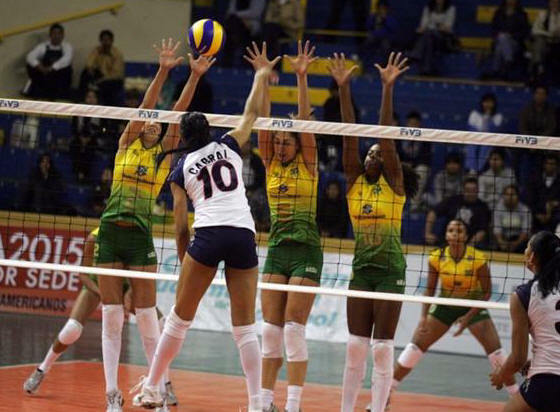 LIMA, Peru, September 10, 2009 � Defending champions Brazil relied on hermetic blocking to defeat Dominican Republic in straight sets 25-18, 25-18, 25-18 in the second day of action of the II Final Four Women�s Volleyball Cup at Eduardo Dibos Coliseum. 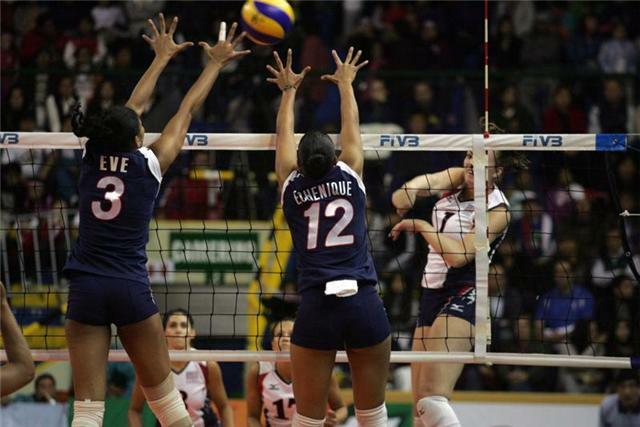 LIMA, Peru, September 9, 2009 � The Dominican Republic started with a total dominion over hosts Peru in the nightcap of Day One of the II Final Four Volleyball Women�s Cup played before more than 3,000 fans at Eduardo Dibos Coliseum. 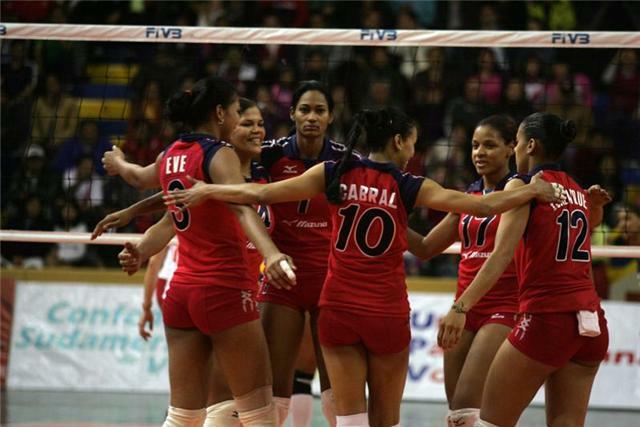 The score of the Dominican victory was 25-14, 25-22, 25-13. 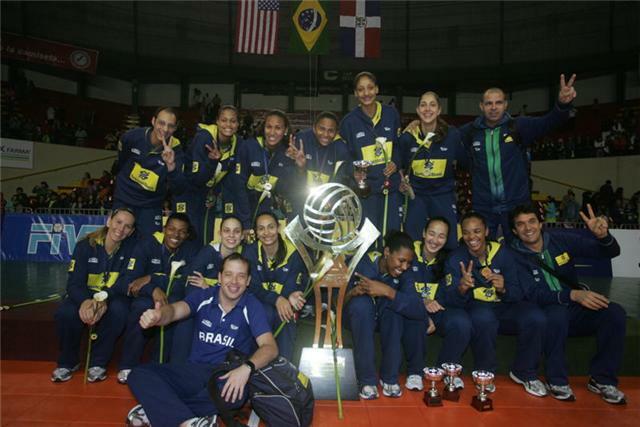 LIMA, Peru, September 9, 2009 � Defending champions Brazil opened the II Final Four Cup of Women�s Volleyball in dramatic fashion by prevailing in a five-set battle against USA by score of 25-12, 18-25, 25-22, 19-25, 15-13. LIMA, Peru, September 8, 2009 � In a crowded press conference the four team�s coaches taking part in the II Final Four Cup of Women�s Volleyball agreed on the importance of this event and spoke about the projection of their teams in the competition that kicks off on Wednesday at Eduardo Dibos Coliseum here. 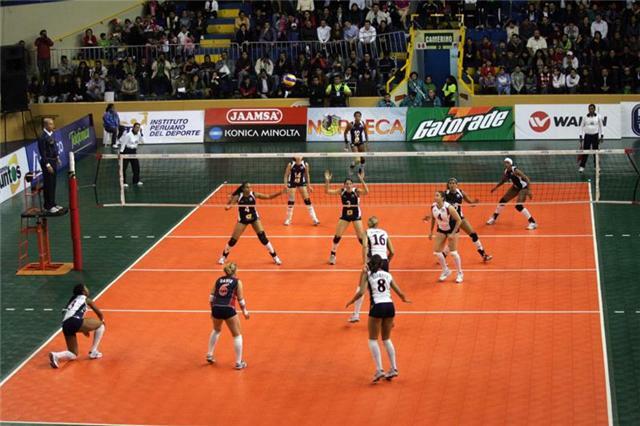 LIMA, Peru, September 8, 2009 � Teams of Dominican Republic and United States of America will represent NORCECA Confederation in the Women�s Final Four �Copa Chinalco which kicks off on Wednesday at Eduardo Dibos Coliseum of Peruvian capital. 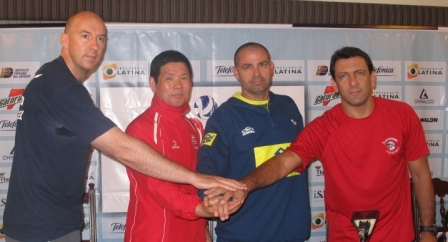 LIMA, Peru, September 6, 2009 - Lima city will dress up to receive the Pan-American Volleyball Union Tournament denominated Final Four � Chinalco Cup from September 9th to 13th where two of the best teams of the North, Central American and the Caribbean zone (NORCECA) and South America zone will participate.